This beautiful 3 bedroom apartment, is decorated with as minimal things as possible. The common area faces the sun directly, brightening up the entire space. You will find both two luxurious sofas as well as a modernly styled wooden dinner table, big enough for 6 people. Heading towards the bedrooms, you will find the first bedroom with a modest double bed, another one with two comfortable single beds and the last one with bunk beds. The first bedroom is brightly lit as well, decorated with ample closet space, two commodes and a spacious balcony with lets light seep in, brightening up the beautiful room. The second bedroom is quite similar, also comes along with a balcony and two single beds. You can also enjoy the beautiful painting found on one side of the room. You will find modernly styled bunk beds in the last bedroom, styled with beautiful light wood, the light interior, fully complements the bedroom's theme. Moving along, you will also find a stylish modern bathroom. The beige tiles and marble set a very romantic and calming atmosphere. You can relax and unwind after a long tiring day. The property is well connected with metro line L4 operating from Monday to Sunday, as well as buses. 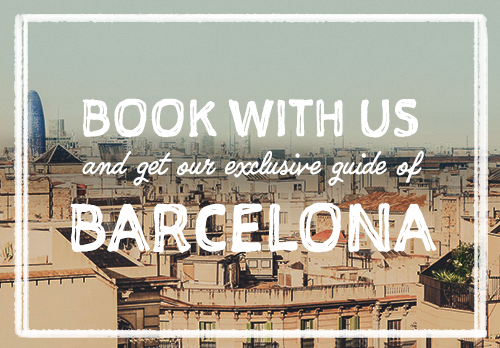 You can find bars, grocery shops and restaurants in every corner as well as Bogatell beach a few minutes away!